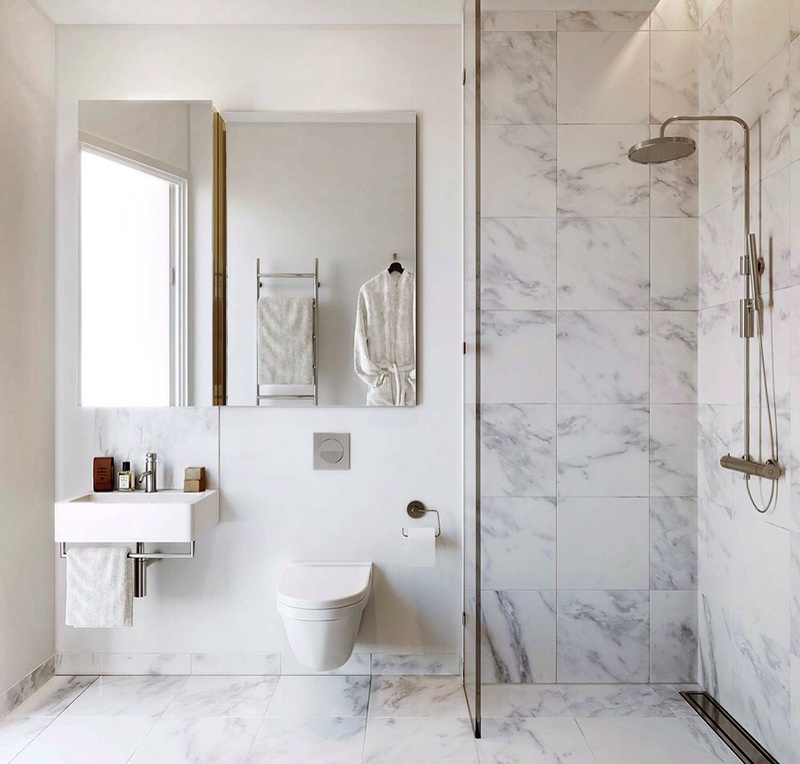 We have recently specified a porcelain Carrara tile for a clients five bathrooms. 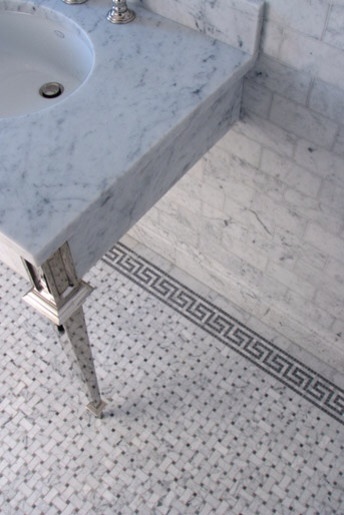 Authentic Carrara marble is quarried in the Italian province of Carrara. It is a gorgeous stone used to make tiles, tabletops and countertops in homes around the world. Carrara marble, like other marbles is porous. Because of its light color it is more likely to show stains than other marbles and stones. It also needs regular care in order to maintain its beautiful surface. In addition, cleaning Carrara and other types of marble must be done properly with a pH-balanced stone cleaner. We love the look, but is the maintenance worth it? The obvious solution is to opt for a faux Carrara porcelain tile. The options here are endless and the quality is supurb thanks to recent advancements in technical manufacturing. A faux marble is an intelligent choice. The look is stunning. Carrara is timeless and elegant. It transcends period style and can work effortlessly in a modern or traditional scheme.